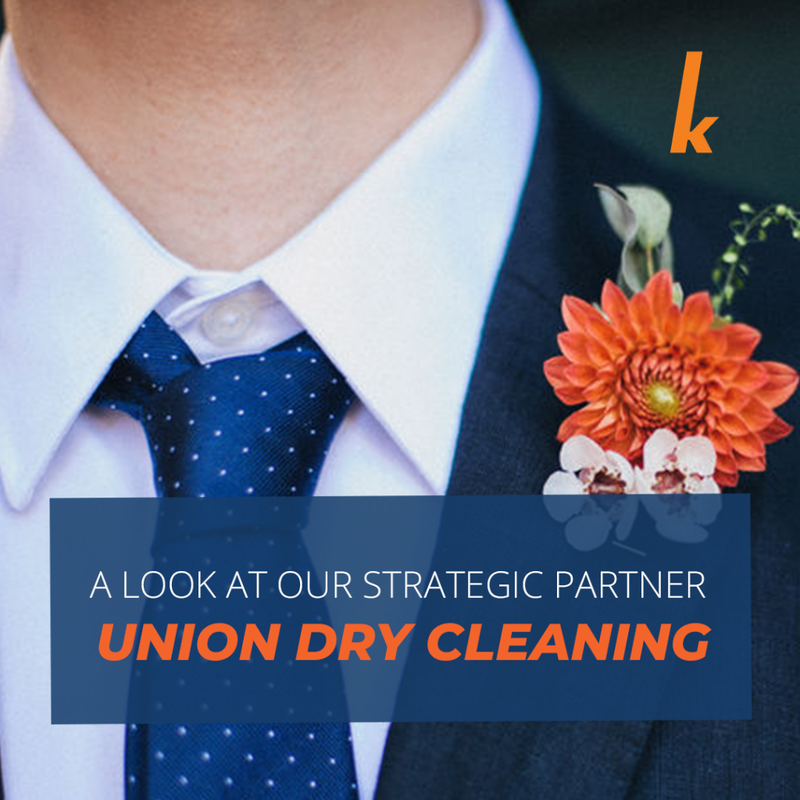 This month Richard Fitzpatrick of Kreussler Inc. interviews Vic Williams of Union Dry Cleaning, a strategic partner of Kreussler. Richard Fitzpatrick: I would like to introduce our guest this month, Vic Williams, Eastern Sales Manager of Union. Richard Fitzpatrick: How many years have you been with Union? Vic Williams: In May, it’ll be twenty-nine years. Richard Fitzpatrick: Did you start as a technician? Vic Williams: I started in phone sales, but back then we didn’t even have a parts department, so Jack and I took over that and built our parts department up. From there it snowballed into running the service and support department for about twenty-five years. Richard Fitzpatrick: I have to say that anybody out there that has bought a Union machine, you probably have already had some experience with Vic. He’s one of the most knowledgeable guys in terms of dry cleaning, engineering, and just an excellent resource for the company. I’m thinking you came out of high school, college, and started doing this or were you doing anything before this life? Vic Williams: I did some community college, and just wasn’t for me. This opportunity came up, and I grabbed it. Richard Fitzpatrick: How do you like the sales side of things over the technical and support side? Vic Williams: Well, I still do technical also, so I still get a little bit of that. It’s just not the day-to-day fifty calls, and emails all about service. I’ve got Jason and Zach now that handle that for me. I like the sales part of it. I think it was a good fit for me to move into since, like what you mentioned, there are so many people in the industry that we’ve sold machines to that are repeat customers, and I’ve known on the technical side, and now they feel comfortable buying something from me because I’ve known them for twenty-plus years. Richard Fitzpatrick: It’s always great, especially in the capital equipment side of things, which I did for a very brief period early in my career. To see the people that you’ve sold to and then the life cycle is ten or fifteen years, and you get to have a repeat sale with that client or a second generation within that business. That’s always a reaffirming feeling that you know you’ve done something right and that they’re happy with the product. Vic Williams: Yeah, I feel the same way about that. Richard Fitzpatrick: Union’s a well-established brand here in the United States and globally. They are based in Bologna, Italy and sell machines all over the world? Vic Williams: Yes, we sell all over, and mainly through a distributor network. Richard Fitzpatrick: Here in the United States over the last thirty years there’s been many machine providers on the market. I go back to when VIC, Permac, AMA, Lindus, and all these other manufacturers. We’ve seen them come and go. Union has always had good brand recognition. It’s just gotten stronger and stronger over the years. I travel all over the country just like you, and it seems like when I walk into a shop eight times out of ten I’m staring at a Union machine. It’s not that there’s no competition in the marketplace. What do you think accounts for such a strong presence for you guys? Vic Williams: I think it’s our team here and in Italy. We all work very well together. Most of us have been here upwards of ten years or more. Our number one goal and our number one motto is to take care of the customer. We’ve always taken care of the customer. We still take service calls for any Union machine. We still get requests for a machine before I even started, thirty years old. We’ll help that customer out with troubleshooting over the phone. I think it pays off in the long run. We’re here; we take all the phone calls. If they need a part, even for machines thirty years old, there’s a possibility we have it. We feel like if we don’t take care of the customer, somebody else will. Vic Williams: We’ve gone on that philosophy for twenty-nine years. We have to take care of the customer. We want them to be happy. This is their livelihood, which is their dry cleaning machine. When their machine’s down, they’re losing money. We always try to get back to someone with a problem within an hour. This is not just something they’re having fun with, this is their livelihood, so we take great respect in taking care of our customers. Richard Fitzpatrick: I think that’s a great core value for any company. I wish we saw more of it in the industry. Vic Williams: Yes, it would be a lot easier, we’ve got probably twenty machines, maybe right around that and models. However, what we’ve seen is every shop’s not 100% the same. We try to have a product available for any dry cleaner, whether they’re a small mom-and-pop shop or a big industrial plant or a big chain. Then the solvents play some in that too. We have different machines for different solvents, but yeah, it would be a lot easier. However, I think if we only had a couple, I’ve seen some manufacturers that only have a couple of machines, and they’re one of the ones that you mentioned have kind of came and gone. Vic Williams: You have to have a variety of machines in my opinion, especially in today’s times when you’ve got some shops that are on the verge of closing or they need a machine. So we have something that fits their need at a reasonable price. That’s the way we feel. Yeah, it would be a lot easier to have just a couple of models, but for us to be in the market where we’re at right now, the more options we can give to the customer, we feel that we can take care of everybody better. Vic Williams: For us, we have to make sure it’s going to be a viable solvent. You can’t just say, “Here’s a solvent, and put it in the machine, and let it go.” It could take a year, year and a half, two years for the full testing process to go through. We have to test the flammability of the solvent, the specific gravity, the vapor pressure, etc. Vic Williams: Then we have to have the ETL approval done on the solvent to make sure that it’s compatible with our machines. However, most solvents coming out now are class IIIA solvents. We do not see any Class IV solvents come out really, just Class IIIA. So they have similar characteristics on the flammability, flash point of the solvent. That makes it a little bit easier, but no, it is definitely a process. We want to make sure a solvent is a good solvent, has good support here in the United States, and it’s safe for the environment. It’s safe for the customer before we give it a stamp of approval on the machine. Richard Fitzpatrick: People may not know this, but we partnered with Union when we did the original testing for SOLVONK4, and you guys had it in Italy for almost a year doing testing on it. Of course, it was unique and new. I think the process has streamlined a little bit, but Union does go through a significant amount of testing with a solvent in the machine to make sure that things are optimized. I have to imagine that that’s not cheap to do. Vic Williams: No. We have one person over there that sits there with a machine on the test stand. That’s what he does basically for every day until the machine is perfected as we did with SOLVONK4, and I think we came out with an excellent machine for SYSTEMK4. Richard Fitzpatrick: I would agree with that. I know there’s a lot of useful features with a Union machine. What are some of your favorites when you’re talking to somebody about the benefits of purchasing a Union machine. What are some of the features that you talk about as stand-out that you’re proud of in the design? Vic Williams: We have solvent heating which is pretty much standard on all our hydrocarbon machines now with a distillation model. We have the units, which can heat the solvent to around 90, 95 degrees. We have better control over keeping the solvent not too cold and having a warm solvent, for example, with a solvent heater. We have better control of that temperature. Vic Williams: Also a standard feature is the Uni-Jet, which is a high-pressure jet sprayer in the front using the same solvent pump. That can be turned on or off depending on the customer’s preference and what type of garments are being cleaned. Another standard feature on the machines with the distillation unit is the automatic separator cleaning system. The operator runs a program once or twice a week, which pressure washers the inside of the separator out. Richard Fitzpatrick: The automatic maintenance features built into the Union machines, especially the separator cleaning is huge. Walking in and seeing the separators haven’t been touched in months is such a problem for just the overall health of the machine and the solvent. For you guys to have incorporated just a simple program, run this once a week, and it does a good job. They just have to remember to run it once a week. It’s a lifesaver. That is a nice feature. Vic Williams: I agree with you. One of the other good points, I think, about our machines is that I think the computer is one of the easiest ones in the industry. Vic Williams: You can give me your opinion on that too. I mean, it’s just icons that show what you’ve got to do, and we’ve had it out for a while now. I think it’s a pretty user-friendly computer system out there. Richard Fitzpatrick: I agree. Both from just customization and set up programming, making adjustments to it, but also for the operators to understand what the machine is doing. All they need to do is see what buttons are lit up, and they know what step it’s in. You guys have a nice, easy user interface to tell you what the key factors are going on, so what air temperature is, what solvent temperature is right there on the screen. I agree. It is a good computer. Richard Fitzpatrick: I believe you guys now can connect to a machine remotely? Vic Williams: Yeah. The I-CONNECT system is available pretty much on all the machines now. It’s a device you have to put on the machine, and then you have to have it hooked up to your internet. We can remote into the machine, and see it in real time, what it’s doing. If it’s running a cycle, we can remote in, and watch the machine run, and check the temperatures and stuff like we talk about. We can do programming to the machine. So somebody calls up and says they want something changed on the program, we can change the program. We can put a new program in, but we cannot do anything that has us remote into the computer to do anything mechanical, make the wheel turn, for example, open a valve. We can’t have any control over that for safety reasons. Richard Fitzpatrick: A lot of what we see in the marketplace, we’re merely paving cow paths, so they take something that may have been an analog control, and they make it a digital control. However, really to be able to, for a technician, for a machine manufacturer to be able to access a machine remotely in the field to take a look and see what’s going on, see error codes, things like that, that’s huge for the industry. It’s nice to see companies like Union are stepping up and using that. Richard Fitzpatrick: I did an interview last month with Kevin Marois out of Alberta. You may know Kevin. He owns Integrity Mechanical. Vic Williams: I know Kevin very well. Richard Fitzpatrick: He’s a great guy. They’re a Union dealer. We talked about maintenance on machines and maintenance in a plant in general. I know from the service side of things, I could only imagine that a lot of the calls that you received over the twenty-plus years where you were answering the phone for service, a lot of stuff could have been prevented if some preventative maintenance had taken place on the machine. Do you have top two or three things that you would recommend people pay attention to when they make this kind of investment? Vic Williams: Yeah, I think number one is the lint filters for the drying, the air lint filters for drying. Without proper airflow, you won’t have a fast dry cycle, and you are going to have clothes that are not going to dry all the way. Number one for us is airflow; it’s a dry cleaning machine, so you put the clothes in dry. They come out dry. So if the air filters haven’t been cleaned, and there’s lint all accumulated on it or the foam filters are impacted with fine dust, the drying is not going to be good. So we recommend a maximum of every three loads, I like to see it every load, you’re cleaning the lint filters off. Then once or twice a day, vacuum the foam and then replace the foam. Many times, we’ll go into a plant, and they’ve had foam in there for two years. We give you extra foams when you buy the machine, so we like to see that changed out and washed. Sometimes that’s a problem. People don’t do the maintenance on the air filters the way they should. Richard Fitzpatrick: I would agree with that 100%, and it’s good to the point that Union stocks replacement foam, it should be replaced at least every year. Call Union up, and they can sell you some pre-cut replacement foam for the filters if they are starting to wear out. Vic Williams: Another thing is keeping the proper solvent level in the base tanks, and making sure they’re clean, and making sure the solvent’s clean, and the base tanks are clean. Many times, you have somebody that calls up, and they’re complaining that they’re not getting a good cleaning. We say, “Well, how much solvent in your base tank?” “Oh, I got ten gallons in there.” Something like that. What do you expect to clean with ten gallons? I mean, “Oh, I got ten in one and ten in another one.” I’m like, “Well, that’s not going to do anything.” So you got to keep the proper solvent level in the machine. You got to make sure you’re keeping the solvent clean; you’re keeping it turned over, and you inspect the base tanks. Vic Williams: All these Class IIIA solvents, the water’s going to go to the bottom in the tank because the solvent is lighter, the water’s heavier and goes to the bottom. Sometimes people don’t understand because they had perc machines, which was the opposite. That they don’t have to check the base tanks. We recommend every six months maximum to take the tanks, put it in the drum one at a time and inspect it with a flashlight. If it needs to be cleaned, take the cover off, and you clean out the tank. By doing that, you’re going to keep your solvent cleaner. You’re going to keep any type of odor out of the solvent because you eliminate the breeding ground for bacteria being on the bottom of the base tanks. Vic Williams: The last thing is probably filtration and distillation. A lot of these machines have spin filters or cartridge filters, so we recommend at the proper time frame, whether it be if you have a spin filter, at least once or twice a week, you spin the filters down. If you have cartridges, you replace them on a schedule or a pressure schedule on the gage. You are then cleaning the still out. If the machine’s equipped with a distillation unit, you want to make sure that you’re keeping the still clean and you’re not allowing too much sludge to build up in there, which slows down recovery and risks overfilling the still. When that happens, you get alarms, and the machine can shut down. Richard Fitzpatrick: We see in the industry. It’s a global trend too that the dry cleaning sector is shrinking. We see fewer garments come into the plants. We’re seeing a smaller client base servicing accounts, and dry cleaners are trying to maintain profit levels, and it’s tough. Many times, they make decisions to put in technology that isn’t exactly conducive to cleaning clothes. We’ve seen everything from modified dryers that basically delint the items and maybe deodorize a little bit to machines that may be spray solvent on, but there’s no flushing action. There’s no immersion process. I know you guys are trying to offer a solution for everyone’s needs. Do you see a risk associated with technology that doesn’t necessarily provide the best cleaning or do you think it’s an individual choice for the dry cleaner? You’re just trying to fill a need. Vic Williams: Take the spray machines, we see a market for that type of machine, but we only promote that as a secondary machine. Your main machine needs to be an immersion type machine that can do the brunt of your work. You could use a spray machine for maybe real delicate items or redos at the end of the day. I think we feel the same as you. We don’t feel the cleaning is as good as a full-blown immersion machine that’s going to wash the garments in full solvent capacity for ten or fifteen minutes, whatever the time is. However, we do see some of those machines out there. Vic Williams: We have one. We’ve sold a few of them, but in the instances where we sold them, the guys had an immersion machine right beside it. He’s using it for his delicate work, and his touch-ups, and stuff like that. Richard Fitzpatrick: Do you feel that marketing a piece of equipment like that, should it be marketed as a cleaning machine or should it be marketed as something else? Vic Williams: Well, it’s not an immersion machine. Ours can do both. It can do immersion or spray. Again, I think it’s for delicate items or redos. I mean, if you’ve got something that’s already been cleaned in an immersion machine, and you had to spot something out of it. You want to put it in there and freshen it up, you could do that with this machine, but I don’t see building a plant and placing one or two of these in there, and doing all your work out of it. Richard Fitzpatrick: Clean’s coming up in a couple of months. I don’t want to steal your thunder, but are you guys going to have anything new, anything unique? I mean, you don’t have to be specific, but what’s a reason why someone should come over and take a peek at the new line of Union machines. Vic Williams: Yes. It’s coming pretty quick. We haven’t finalized anything for the show yet. We’ve been talking to some people about some different things we might do, but we haven’t finalized anything yet. I know we’re going to have a wide variety of machines on the floor. Again, we don’t have an exact model list of what we’re going to have yet, but I know we’re going to have a machine for K4 on the floor. Richard Fitzpatrick: Okay. That’s fair. Liquid carbon dioxide? Are you introducing a liquid carbon dioxide machine? Vic Williams: No, we passed on that back in like the ’90s. Richard Fitzpatrick: Okay. Well, probably not a good time to bring that back to market now anyway. Vic Williams: Oh, no. I think those days have come and gone. Richard Fitzpatrick: Vic Williams, I would like to thank you very much for taking some time to talk to us today. I would encourage anybody who’s out there looking for a dry cleaning machine if you’re on the Eastern side of the United States, or even on the Western side of the United States, please reach out to Vic. I’m sure he’d be happy to talk with you. If you get an opportunity, you’re going to want to stop by the Union booth at Clean Show, and see their machines, the technology, all the options, and what they can do for you. It’s a great machine, a great company and Vic’s a great guy. Thank you so much. Vic Williams: Appreciate it, Rich. I’m glad we have an excellent relationship working with Kreussler, and you, and all your guys.